A note from the IAHPC: Smile more! Help the IAHPC in its mission by buying books through the AmazonSmile store, which has the exact same prices and selection as Amazon.com, but which donates a portion of your purchase to IAHPC. It’s a great way to show your support! Universities can access the film via Kanopy Streaming. Note: Moonshine has pledged to donate 10% of sales before May 1 to Pallium India. This is the story of a remarkable individual, his crusade for the development of palliative care, and his dream of a pain-free India. Dr. M.R. Rajagopal (‘Raj’), from Calicut in the State of Kerala in India, originally trained as an anesthetist, then became interested in treating patients with pain and, when he realized that it was necessary to treat the whole person and all aspects of their suffering, he moved into palliative care. Raj discusses the principles enshrined in the Hippocratic Oath that he believes are important in the practice of palliative care, including that we are treating sick human beings not diagnoses, that the impoverished are just as deserving of our care, and that medicine involves art as well as science and the importance of presence, warmth, sympathy, and understanding. Raj remembers when he was studying as a medical student, listening to his cousin down the road, screaming into the night as he died of cancer. Whilst there was nothing he could do for him medically, he now regrets that he stopped visiting him. I have to admit that I found the poverty a bit confronting. The man who needed radiation for cancer and, to pay for it, sold his home and put his three children in an orphanage. As Raj says, ‘The prescription that I write may help with their problem, but it may also deprive the family of their next meal.’ Of India’s 1.25 billion people, there are something like 270 million who live in poverty. India, like Australia, grows poppies legally and exports morphine to the rest of the world. But draconian legislation in 1985 made morphine virtually unavailable for patients in India. Raj organized relentless lobbying to have the restrictive laws changed. It was finally listed on the Parliamentary agenda in 2012, but it took another two years for it to be debated and passed. A little to my surprise, he says he has ‘fond memories’ of all the time he spent working in Delhi during the 25 years that it took to get the legislation changed. In Kerala, appropriate patients now have ready access to morphine, and the tablets cost less than one rupee each (less than two cents US). But as outlined by Raj in the February Newsletter, much work remains to get all the States of India to implement the 2014 changes. Raj refers to the medieval aphorism — To cure, occasionally; To relieve, often; To comfort, always — and says that now most of the energy goes into curing rather than caring, and that ‘Somewhere, medicine has lost a bit of the heart…’ There is an impassioned plea to pay attention to patients’ quality of life, and he emphasizes that palliative care must fit in with local cultural and economic realities. The Pain and Palliative Care Society that Raj founded in Calicut went on to become a WHO demonstration project. In 2003, he founded Pallium India, a national organization dedicated to the provision of effective pain relief and quality palliative care services across India. 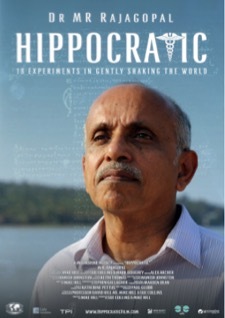 There is a lot going on in this film — Hippocratic ideals, the wisdom of Gandhi, and the very essence of palliative care — all set against the bustle and poverty of India. Anyone who works in palliative care will benefit from watching this film. If you work in a developing country, Raj’s determination and achievements will be an inspiration to you. If you work in a developed country, this film is a very good demonstration of the fundamental basics of palliative care. 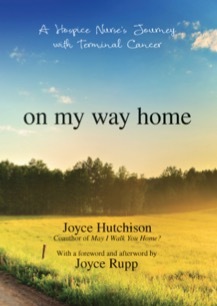 In 2009, I reviewed and applauded two of Joyce Hutchison’s books — May I Walk You Home? Courage and Comfort for Caregivers of the Very Ill and Now That You’ve Gone Home: Courage and Comfort for Times of Grief. These were both little collections of clinical stories by Hutchison, with prayers added by Sister Joyce Rupp (OSM). The present volume is Hutchison’s third and last, with a foreword and afterword written by Rupp. This book is a collection of Joyce Hutchison’s reflections from when she was diagnosed with inoperable lung cancer until the time of her death about two years later. A trained oncology nurse who helped establish the first hospice in Des Moines, Iowa, she worked in the field of palliative care for many years. She was married, although her first husband died in 1994 after a long battle with cancer. She had three children and nine grandchildren; that her beloved daughter was diagnosed with metastatic pancreatic cancer at a time when she herself was terminally ill seemed cruel. Her second husband left the marriage because, it seems, he couldn’t cope with her having cancer. What is remarkable about this book is that here you have someone who knows all about oncology describing what it is like to be diagnosed with cancer, how you feel when you have chemotherapy (with all its side effects), what effect it has on your thinking, and how it may affect your relationships with friends and members of your family. I can happily recommend this book to anybody who works in palliative care or oncology. 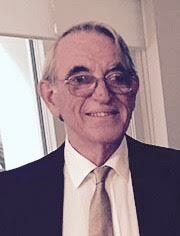 Consideration of some of Hutchison’s reflections may lead to subtle improvements in the care that you give. I shall let you decide whether you would recommend this book to cancer patients or their carers, for whom it was primarily written. In 2014, the World Health Assembly (WHA) adopted a resolution on ‘Strengthening of palliative care as a component of comprehensive care throughout the life course’ (WHA Resolution 67.19). An ad hoc technical advisory group (TAG) was then formed to provide advice to the World Health Organisation (WHO) on aspects of the implementation of the resolution. The TAG comprised 29 members, including IAHPC’s Liliana De Lima and a number of others who are or have been members of the IAHPC Board. This book reports on the work and thinking of that committee and its members. There is a vast amount of information in this book. On reflection, I saw it as an attempt to create a platform, incorporating some standardization of classifications and ways of thinking, from which the work of implementing WHA Resolution 67.19 can begin. 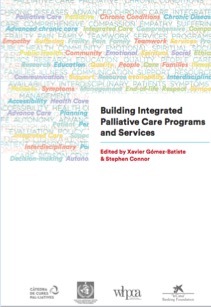 As such, it is important reading for health bureaucrats and anybody involved in planning palliative care. This book addresses the big questions with broad strokes, but I repeatedly felt the practical details of how we get from where we are today to the ideal world they describe were glossed over. And I did not find it easy reading: the very first sentence on the opening page contained more than 140 words, which I regard as unacceptable.